I am a big fan of homemade ice cream. This Mint Chocolate Chip Ice Cream is the bomb! 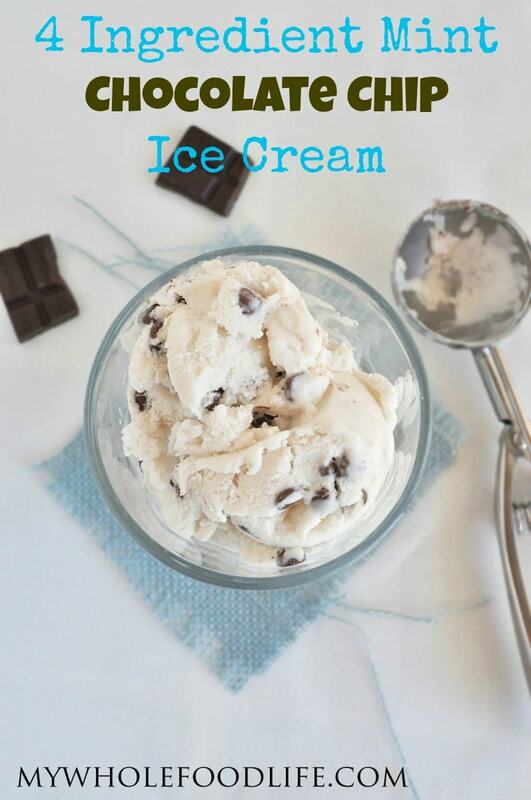 This mint chocolate chip ice cream is also dairy free, gluten free and vegan. 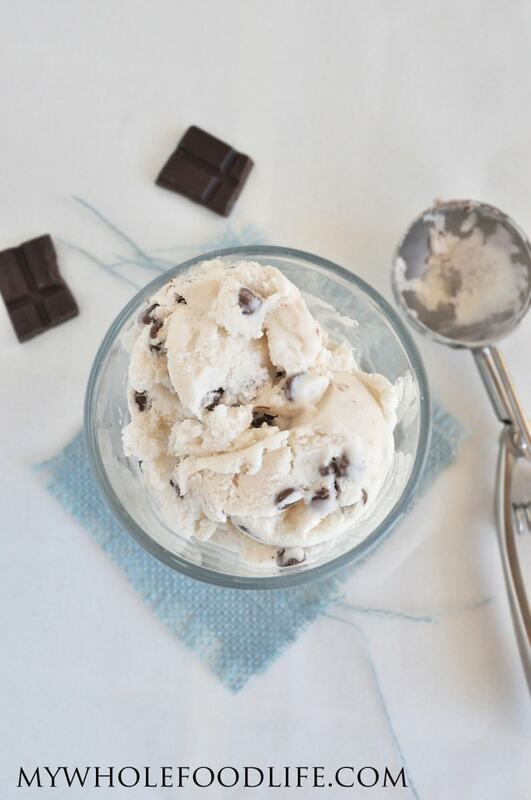 This peppermint chocolate chip ice cream recipe is even paleo approved. It’s also creamy delicious. I highly recommend getting an ice cream maker if your budget allows. It pretty much pays for itself after a few batches. Have you priced organic, healthy ice cream lately? Way too expensive for me. That is why I make my own ice cream recipes. I make my mint peppermint ice cream recipe with coconut milk. For those of you that hate coconut, don’t worry. You can’t taste it in this at all! All you taste in the mint and little bites of chocolate chips. The best part about this ice cream is that it only has 4 simple ingredients! Super simple. Only 4 ingredients to make this frozen treat! Make sure you ice cream bowl has been in the freezer for 18 hours. Mix the coconut milk, maple syrup and peppermint extract in a medium sized bowl . Pour contents into the ice cream machine and turn on. It should take about 15-20 minutes to make ice cream. When the ice cream looks very close to being done, add the chocolate chips and use a spoon to guide the ice cream around so the chips get mixed in evenly. The ice cream will be a soft serve consistency. If you like a harder ice cream, stick it in the freezer for an hour. I store mine in this tub . The ice cream will harden a lot once frozen, so if you plan to eat some, pull it out about 30 minutes prior to eating. If you don't have an ice cream machine, you can make this recipe into popsicles. I like these molds . Enjoy! I'd like to stay away from the maple syrup if possible as well as agave. What else would be good to substitute and how much? I'm not very good at food prep stuff! :) Thanks! Could this be made without an ice cream maker? Maybe you can blend everything up, freeze and then blend again? If I were to use peppermint essential oil, how many drops? I am not familiar with the strength of peppermint essential oil. I would suggest adding one drop at a time until you reach a desired taste. Can you double this recipe if you have a large ice cream maker? Yes, but you may not need to double the mint.